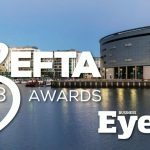 CoreChex are delighted to announce that we have been shortlisted for the 2018 Business Eye Befta Awards in the category ‘Innovative Company of The Year’. ‘Innovation is what drives the team here at CoreChex so we’re particularly excited to receive this recognition alongside a number of high profile companies also in the category. We look forward to the awards ceremony in the Waterfront Hall in Belfast on the 22nd November 2018. Good luck to all the finalists and we look forward to meeting with you on the night. CoreChex offers a paperless checklist, reporting and inspection system using mobile technology to access the software via a tablet or smart phone.